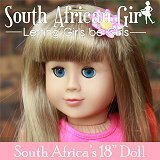 South Africa's quality 18 inch Doll available from Doll Play SA. Other doll products also sold. 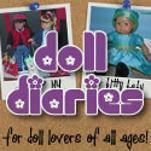 "Karen mom of three's Craft blog"
A great site for a variety of dolls - lots of fun! My Friend Cayla - She connects to the internet and talks to you! 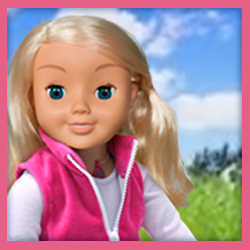 Interactive and cute 18 inch doll! Follow the blog of Steampunk Addie - It is a sci-fi/fantasy version of Addy's. "Karito Kids and American Girl Doll Fashions that Soar"